I am writing this article to a specific segment of this generation of Jews: those who follow Messiah Yeshua, whether we are in Messianic congregations, synagogues, churches, groups of various kinds that meet in homes, or not actively part of a group. I call us all “Messianic Jews,” but the name is not important; what counts is our connection with Messiah. We are members of both the body of Messiah and what Michael Wyschogrod calls “the body of Israel.” It is essential that we fulfill our calling and destiny in both communities. To be frank, many Messianic Jews, myself included, have avoided speaking openly and in depth about the meaning and significance of Jewish existence because we do not want to inadvertently offend others. For now I want to say that the “tasks begun by the patriarchs” that are now entrusted to this generation of Jews have positive and profound implications for the nations. Therefore, if you are not Jewish, I invite you to pull up a chair and listen in. You are welcome here. At two separate seminars I attended in 2009, two speakers presented a different interpretation of Ephesians 2:15; they both claimed that the unity of the “one new man” does not imply, let alone require, a flattening of its Jewish and Gentile members into homogeneity. Instead, the unity spoken of in Ephesians 2:14-16 strengthens the case that Jewish identity of Jews who believe in Jesus is fundamental. Regarding the fourth and most common Christian interpretation, Svartvik said something profound: how would that view fit with “peace to those near” in Ephesians 2? In other words, Yeshua came to bring peace to those near (Jewish people) and far (Gentiles). If he came to nullify God’s covenant with Israel, how is this peace with Israel? Thus, Svartvik offers a fifth and new suggestion: the dividing wall is not physical or tangible, but is exactly what the text says it is, the mistrust and enmity between Jews and Gentiles in the Greco-Roman world in which the apostles founded a movement of faith. You may notice that the common thread running through all three of the above-quoted paragraphs (besides Messianic Judaism in general) is the special status and mission of the Jewish people, particularly those who are disciples of Messiah Yeshua, as distinct and separate from the body of believing Gentiles, whether they are affiliated with Christianity, Hebrew/Jewish Roots, or the Messianic Jewish movement. Each article provides an excellent springboard by which to launch ourselves into further investigation of the relationship between Jews and Gentiles who are attached to Yeshua, and to define the unique roles and purposes of each population as we exist within the Ekklesia of Messiah. When I first started reading Kinbar’s article and saw that he had specifically written it to a Jewish audience, I felt as if I’d opened and was reading someone else’s letter, at least until he invited non-Jews to “pull up a chair” and become part of the audience. For it is in the definition of the special tasks that the current generation of Jews, both in Messiah and otherwise, have inherited from the patriarchs, that we find a contrasting role for “Messianic Gentiles”. Both Woods and Leman tackle this topic through the lens of Ephesians 2, with Woods addressing the so-called “One New Man” (Ephesians 2:15) made out of two peoples, Jews and Gentiles, and Leman focusing on the breaking down of the “barrier of the dividing wall” (Ephesians 2:14 NASB) that previously separated those two groups but, “by the blood of Christ” (v.13) have been made one. They both, as you might imagine, disagree with the traditional Christian interpretation of what “one new man” is supposed to mean, or what the result of tearing down the “dividing wall” was supposed to bring about. Christianity believes that annihilating that wall and creating one new man eliminated distinctions between Jews and Gentiles by obliterating Jewish and Gentile identity. The “one new man” was “neither Jew nor Greek” (Galatians 3:28) but an entirely new creation in Jesus Christ. Except that’s not how these gentlemen interpret these scriptures. I should also say it is a shame that Paul’s letters can only be read in their Jewish context via a “radical” and “new” perspective. That is, of course, how they should have been read all along. But a few issues have understandably blocked Christian readers from seeing the Jewishness of Pauline letters and Ephesians in particular. To make a complex issue simple let me just list a few things. Paul’s letters do not address Jewish believers and their concerns, but rather his burgeoning Gentile mission of the earliest Yeshua-movement. Paul does not give us a theology of Jewish identity in relation to Messiah Yeshua because that identity was already well-known and assumed in the background. Jewish identity in Messiah remained rooted in the covenants with Abraham and at Sinai and through David, but the coming of Yeshua marked a new stage in God’s revealing his plan to Israel. It was only later, when the church interpreted Paul as saying there was a break away from Sinai and God’s covenant with Israel, that Jews must now become Christians, that the idea occurred that it would become “radical” and “new” to read Paul as a Jewish writer who had not abandoned his prior beliefs and practices. It is difficult to distill an analysis of all three articles into a blog post or two, so I’ll just hit the highlights, so to speak. Also, since both Kinbar and Woods are writing multi-part missives, and the latter submissions are not yet publicly available, the picture you are going to receive here will be, by necessity, incomplete. I encourage you to read Leman’s blog post and acquire copies of Messiah Journal, issue 119 and the subsequent two issues, to read their complete messages. 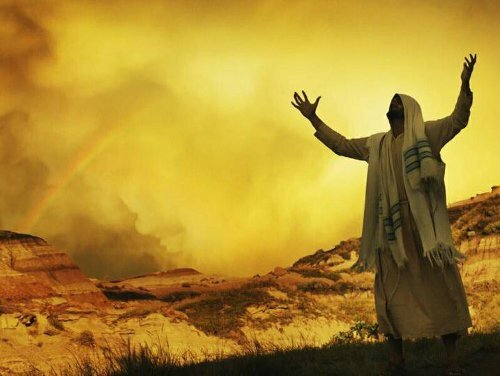 In order to “flesh out” the role of the “Messianic Gentile” related to Messianic Judaism and the Jewish people (in and out of the movement), it is necessary to understand to some degree, the role and mission of Jewish people as a covenant people within Judaism and as devoted disciples to Messiah. Our loyalty to Messiah must be so powerfully integrated into our lives that we are simply unable to conceive of life without him. He must be part and parcel of our lives. At the same time, being Jewish is a fact of our existence: whether we were born Jewish or converted, it is not even possible to “un-Jew” ourselves. To minimize, ignore, or deny this fact is to minimize, ignore, or deny the meaning and significance of our existence. That said, the fullness of our Jewish identity needs to be internalized just as our loyalty to Yeshua does. Our identity as Jews must be part and parcel of our lives. Our identity as Jews and our loyalty to Messiah must be internalized and brought into harmony. That harmony is not easy to achieve, and I know of at least three Jewish people, one of whom I am very close to, who fully integrated and internalized their Jewish identities by way of entirely dispensing with their devotion to Yeshua. What Kinbar said reminds me of an article Stuart Dauermann wrote for issue 114 of Messiah Journal called “The Jewish People are Us – Not Them,” which I reviewed nearly eighteen months ago. In their separate articles, both Kinbar and Dauermann emphasize the vital importance in Messianic Jewish loyalty and affiliation to the Jewish people and national Israel, but while Kinbar makes his points very well regarding Jewish covenant responsibilities to the Torah mitzvot, to their fellow Jews, and to Hashem, what does this say about we Gentiles? This changed dramatically when Abraham’s name became more broadly known through the distribution of the Apostolic Writings among the nations of the world. In my opinion, it is not an accident that Abraham’s name appears proportionately more often in the Apostolic Writings than in the Tanach. Were it not for the Apostolic Writings and the body of Messiah, “the families of the earth” would not have known that they may be blessed in Abraham. Everyone who is devoted to Messiah should fear God, but Jews and Jewish communities are uniquely entrusted with the tasks begun by the fathers so that we can confirm the promises that God made to them. Engaging in these tasks is part and parcel of the meaning of Jewish existence: to be a source of blessing to the rest of humanity. So how are we to understand Woods, Leman, and Ephesians 2 in terms of what I’ve written above? For the sake of keeping this “morning meditation” reasonably short and thus of readable length, I’ll save the answer to that question for Part 2. What a breath of fresh air after dealing with the jaggedness of the church book we’ve been discussing. Looks like Kinbar (who I happily remember you quoting before) and Svartvik (who I don’t think has been mentioned before) are quite harmonious with Nanos. Hi, my name is Chul Hwang and I came across your blog via internet. I thought it would be nice and also respectful to leave a message of ‘thank you’ for posting up all those great meditations as I, a Messianic Gentile believer, had much of struggle finding a way out of this uncharted journey. However, it seems that I wasn’t the only one went through this journey as you and many others are going through this journey. I really want to thank you for posting up the “loving G-D and not loving the church,” as it was the exact journey I’ve been going through, though I am resolved to go back to old church of mine. Thank you so much!! You are quite welcome, Chul Hwang. I agree that many of us struggle to find a place where we belong. Sometimes, the only place for us is in the peace of God’s love for us. It’s a pleasure to hear from a reader from Korea. Hi James,Our identity as Jews and our loyalty to Messiah must be internalized and brought into harmony. Either you misunderstood my comment or I’ve misunderstood yours. The three Jews you mention did not integrate and harmonize their identity as Jews with loyalty to Messiah: rather, they di-integrated their identity by rejecting the Messiah. Poor choice of words on my part, Carl. When describing the Jewish people I’m referencing, I was saying they “resolved” what they experienced as the dissonance between being disciples of Yeshua and their Jewish identities by abandoning Yeshua. They thought this was the best for them to make as Jews. One of those people is my wife who, after being exposed to the local Chabad Rabbi for a number of months, discovered his version of “what Jews do and don’t believe.” I don’t know exactly what happened or what she was thinking, but the result was that she stopped being “Messianic”. I found out after the fact and almost by accident, as she didn’t make any sort of “announcement” to me. I’m not saying I think it’s right or that I agree with her decision, but not being Jewish, it’s not an experience I can easily share. I can’t tell my wife to change her mind or how best to live out a Jewish life. She believes she’s doing the right thing for her as a Jew. How can I tell her otherwise? I can empathize with both you and your wife. You are sensitive and correct to say that you can’t share the experience with her. But where could she have gone to work out an integrated Messianic Jewish identity? There is no Messianic Jewish equivalent to Chabad. one. 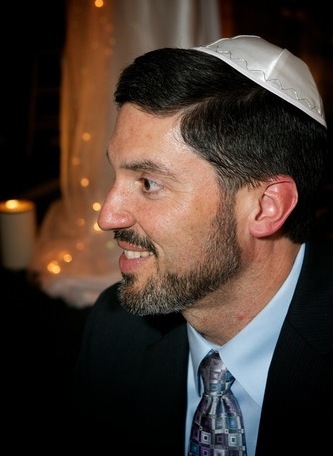 What is needed are more MJs for whom Jews are “us,” not “them,” as Rabbi Dauermann has been saying for decades; MJs who are entirely comfortably with our fellow Jews even if they are not comfortable with us. We need MJs who would no more choose between our Jewish existence and our devotion to Messiah than we would choose between two vital organs. We need MJs who agree with Yeshua that the entire Torah and the Prophets depend on the mitzvot to love God wholeheartedly and our neighbor as our-self. We need MJs who see themselves as members of the Body of Israel as a birthright and the foundation of our identity in the Messiah, who know and value traditional Jewish thought and practice while reserving the right to critique them, as do most non-Messianic Jews! Perhaps MJs like this might be able to help other MJs integrate Jewish existence and loyalty to Messiah. The average MJ is simply not capable of doing it on his/her own. I agree with you, Carl. If we had a thriving Messianic Jewish community in my little corner of the world, things might have been different. Unfortunately, such is not the case. We have barely 1500 Jews in the entire state of Idaho. Probably a significant portion of them are concentrated in the Boise area were we live, but besides the Chabad, the local combined Reform/Conservative shul is the only option for Jewish worship and community. I can’t even say how many of the Jewish people who attend Ahavat Beth Israel are particularly religious. Many attend more for the community and social interaction with other Jews. Those few Jews I’m aware of in the Treasure Valley who are believers are either straight up Christians going to church or people who weren’t raised in a Jewish home and who live somewhat “Jewishly” but not with a high level of observance. I can see that we have a long way to go.